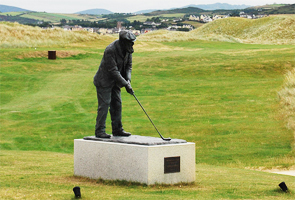 When you think of the great golf course designers Dr Alister Mackenzie, whose course designs, on three different continents, are consistently ranked among the finest golf courses in the world, should certainly spring to mind. Originally trained as a surgeon, MacKenzie served as a civilian doctor with the British army during the Boer War where he first became aware of the principles of camouflage, which he saw as closely related to golf course design. Here are ten of the best courses that Mackenzie designed or reworked to great effect. The golf course at Alwoodley Golf Club was the first to be created by the great Alister Mackenzie and to this day this North Western gem remains as much of a test as it was back in 1907. Mackenzie was in fact a member of the club, and lived and practiced in the local area. 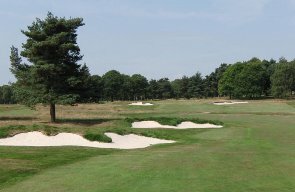 The club spans an area of delightful heathland, whose springy turf is perfect for golf. 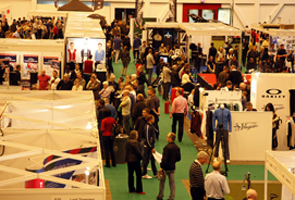 Open Championship regional qualifiers and countless national amateur events are among the high profile events to have graced Alwoodley, so why not follow in some famous footsteps during your golf tour of Leeds’ outstanding championship gems. Located just North of Leeds, Moortown Golf Club is a majestic golfing venue and the quality of the course has been recognised with the hosting of the 2009 Brabazon Trophy. The course is very much a traditional woodland and moorland layout and to this day the original Mackenzie layout has been maintained and largely unaltered. Remove the trees and the undulations that are left behind are very much like those found on traditional links courses meaning that a great variety of shots can be played on this fantastic course. 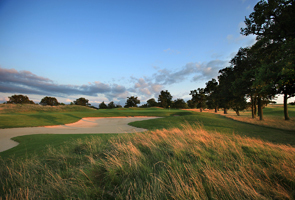 On any golf tour in the York area Moortown simply must be included in the itinerary. 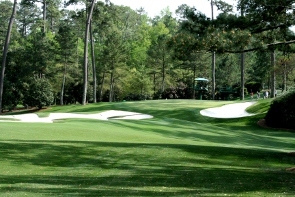 The most famous of Mackenzie’s creations lies in Georgia and sits atop many a golfer’s list of ‘courses to play before I die.’ Pristine green fairways and impossibly perfect putting surfaces are flanked by towering pines and gorgeous flowering plants. In fact Augusta’s flowers and plant life are so famous that each and every hole on the course is named after a different flower or tree. 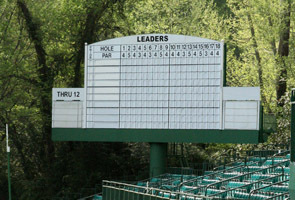 The course has been lengthened in recent years thanks to the advancements in technology but the original layout and shape of the holes is still very much an important part of the Augusta experience. 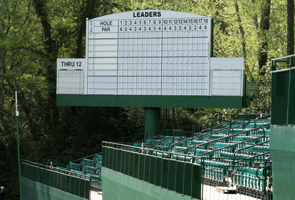 Augusta is so good that it remains the only course in the world to host a major championship year after year. 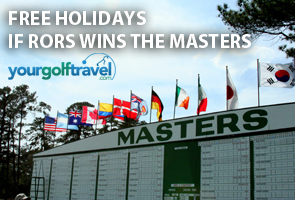 The US Masters is every golfer’s highlight of the golfing calendar and the course is soaked in history. Nicklaus won his 18th and final major championship here and this is also where Tiger Woods announced himself to the golfing world with his blistering 12 shot win in 1997. Cypress Point is one third of a trio of world famous golf courses perched on the Monterey Peninsula. Pebble Beach and Spyglass Hill are this course’s famous neighbours but if you ask a golfer who has played all three Cypress Point may just come out on top. Cypress Point is famed for its exclusivity and a stunning collection of holes that include three of the best in the world; the 15th, 16th and 17th. The quality of the course is undisputed and it was the scene of one of the most famous matches the world has ever seen. Ben Hogan and Walter Hogan played against an amateur pairing of Ken Venturi & Harvie Ward and in the process Hogan set the course record of 63 which still stands today. Even though Mackenzie has courses like Augusta and Cypress Point in his design portfolio, Pasatiempo is reportedly his favourite creation and is in fact where he made his American home. 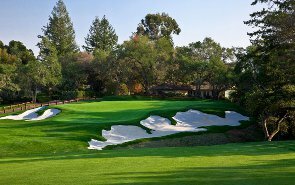 Alister Mackenzie is famed for being the master of the sub 400 yard par 4 and Pasatiempo is home to a great collection of these. The 384 yard 11th is one of the toughest holes you will ever face and the 395 yard 16th is the hole Makenzie himself considers to be the finest two shot hole he has ever created. Unlike Augusta and Cypress Point, Pasatiempo allows public access. Each day a certain number of tee times are allotted for visiting golfers so if you are ever on a USA golf holiday in and around San Francisco, be sure to enquire. The course at the royal Melbourne Golf Club is situated on Australia’s famous sandbelt which, much like the Surrey sandbelt, is simply perfect for the creation of world class golf courses. On the advice of the R&A the club, which already had Royal status inferred on it, commissioned Mackenzie to create what is now known as the West Course. The great irony of this phenomenal layout is that Mackenzie never saw the finished article; in fact, Alex Russell and Mick Morcom were left to turn the great doctor’s vision into a reality. Architecturally, The West Course is as close to perfect as is readily available in the golfing world, and will undoubtedly remain one of the world’s most celebrated and revered courses. Stanley Park is one of Mackenzie’s lesser known projects but this simple, unassuming course is right up there with very best in the UK. 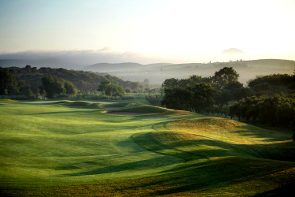 The course only measures 6,048 yards but the intelligent layout still provides a stern test for all who play it. 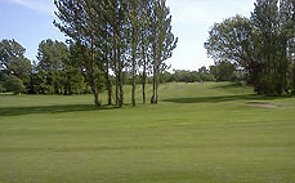 The course is an undulating parkland layout with a variety of natural hazards, dykes and grassy swales to negotiate as well as carefully placed bunkers. 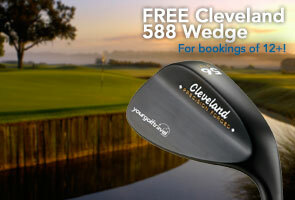 It is a Course that requires thought as well as skill to be able to walk off the 18th with a good score. Legend has it that Mackenzie drew inspiration for Augusta’s famous Amen Corner from this very course. Dr Alister Mackenzie’s travels to Australia thankfully resulted in some of the finest golf courses in the Southern hemisphere. New South Wales certainly falls into this category. The Henry Head Promontory was always destined to house a world class golf course and luckily an architect of Mackenzie’s calibre was there to make use of the remarkable landscape. New South Wales is one of the finest seaside courses in the world and boasts a series of holes that run along the cliff tops overlooking Botany Bay. Blind tee shots, devilishly difficult greens and imaginative bunkering are the main features of this course however like any top class links course the difficulty of New South Wales is largely determined by the weather. It is surely to the credit of the great Alister Mackenzie then, that in spite of the course chewing up and spitting out the majority of its paying punters, they flock back to experience one of golf’s true masterpieces again and again. 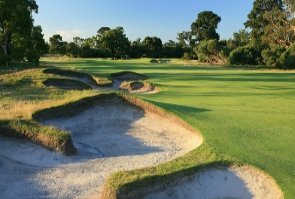 Kingston Heath is another of Mackenzies Australian creations and what is most impressive is that this course is constantly battling it out with Royal Melbourne and New South Wales for the title of Australia’s best course. Working with Dan Soutar, Mackenzie skilfully laid the course out using the natural lay of the land to great effect. The bunkering here is the most impressive feature and, as with all Mackenzie layouts the par fours are engaging and the par 3s are intimidatingly tricky. Any golf holiday in Australia simply must include an excursion to take in one of Mackenzie’s three magnificent designs. Strictly speaking Mackenzie didn’t actually design the amazing links course at Lahinch but upon becoming infatuated with the remarkable stretch of land on which is resides he was commissioned to make alterations to the original layout. Lahinch is now regarded as one of the purest tests of links golf to be found anywhere in the world. Springy, sandy-turfed fairways wind their way between giant dunes on which the local goats still graze. Although it is a good one, Lahinch isn’t the only reason to visit the south West of Ireland on a golf break as within a few miles you can also sample the delights of the world famous Ballybunion and the amazing Greg Norman designed Doonbeg. Print article This entry was posted by Rory on October 19, 2011 at 4:02 pm, and is filed under General. Follow any responses to this post through RSS 2.0. You can leave a response or trackback from your own site.